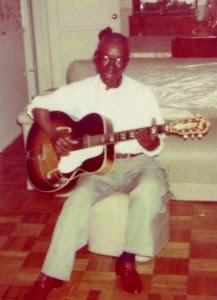 Meet Robert Johnson’s guitar teacher. To us unbelievers, he was certainly NOT the devil. 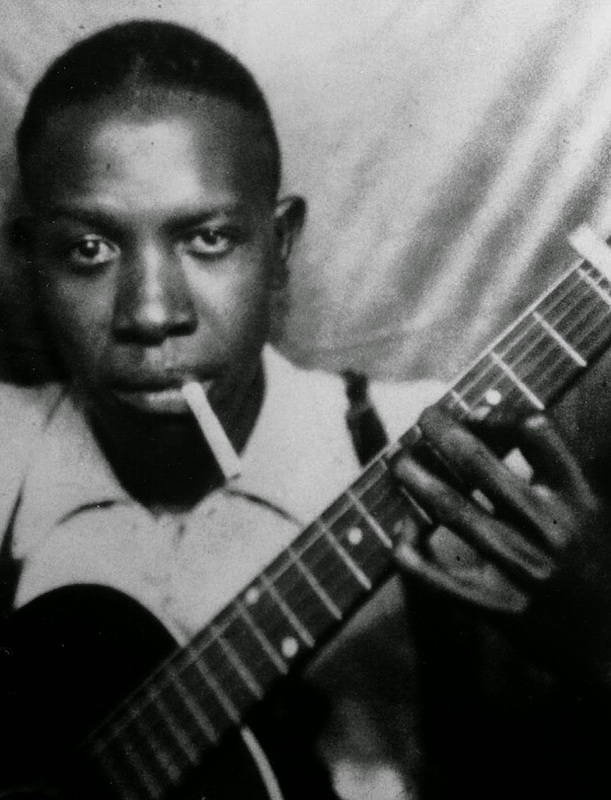 So, who really taught the blues guitar to Robert Johnson down at the crossroads? It wasn’t the devil, of course, but a certain Mr. Zimmerman. No, no, not Robert Zimmerman (Bob Dylan to us), but an African-American Mr. Zimmerman: Ike Zimmerman. I wonder if Bob knows he shares a surname with Robert Johnson’s mysterious guitar tutor. Yes, I’m sure that he does. There’s not much Bob Dylan doesn’t know about the history of the blues. But I’m pretty sure he didn’t about his namesake back in 1960, when Columbia’s John Hammond gave young Bob Dylan an acetate (an old fashioned preview record) of an album the company was about to release. One of the most influential blues albums of all time. From 1961. 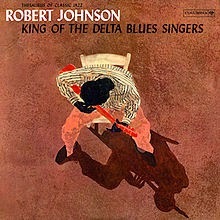 This was, ‘King of the Delta Blues Singers’, a compilation album by Robert Johnson issued in 1961. Ranked number 27 on Rolling Stone magazine’s 500 most influential records of all time list, it is also considered one of the most influential blues records ever. Dylan was blown-away when he heard it. So, of course, was Eric Clapton. For more on the legendary John Hammond, check out my post on the link below, ‘The legacy of John Hammond and other blues musings’ from 15 October 2013. Please excuse the way it looks. Like this post, it lost all formatting when moved from my old blog to this one. Getting them into shape is like wrestling an octopus. So, down to business. Most blues enthusiasts know the legend. 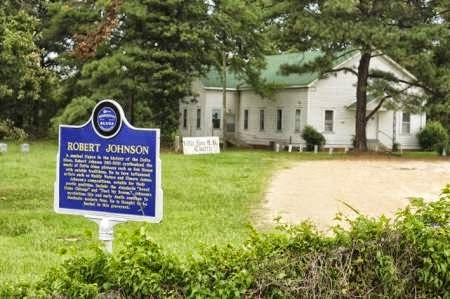 Robert Johnson was an OK harmonica player but a lousy guitarist when he used to hang around the Dockery plantation on the Sunflower River, between Ruleville and Cleveland, Mississippi, as a youth. (See last post.) Suddenly, some time in the 1920s, young Robert disappears, then returns to the plantation some time later as an amazing blues guitarist and harp blower. He had met the devil at the crossroads, goes the myth, and sold his soul to Lucifer in return for unearthly musical ability. Let’s now bring that myth down to earth. Recent research by Alabama Arts Radio in Montgomery, and Professor Bruce Conforth, an academic and Living Blues magazine contributor, paints a more realistic picture about how Robert Johnson mastered the blues guitar. When Johnson disappeared, it was to live for a year or two with the family of an accomplished black Delta blues guitarist and road contractor, four years his senior, Isaiah Zimmerman. Originally a farmer from Alabama, Ike Zimmerman, his wife Ruth, their children and their boarder, Robert Johnson, lived for a while in the 1920s, in a three-room shotgun-shack, near the Beauregard cemetery in Mississippi. Ike loved to play Delta blues, which he originally did in local juke joints across Alabama, then around Mississippi after he moved states. Indeed, so exceptional was Ike’s playing, rumours even persisted, back in the day, of Ike Zimmerman, just like Robert Johnson, learning to play supernaturally in graveyards at midnight. Such old wives’ tales had their genesis over a hundred years earlier, in superstitious Europe, when many believed similar stories about the Italian classical violinist Paganini, and his supposedly satanic powers. So, nothing is new. These were unsophisticated days, remember, and Ike Zimmerman and Robert Johnson did truly like to play their blues guitars and harmonicas in the cemetery. We’ll come to that in a moment but imagine just how scary blues guitar playing would sound, back in the 1930s, coming out of a graveyard, especially when caught on the wind. But if you and I could learn to play the blues guitar like Lonnie Johnson or T-Bone Walker, simply by hanging around a graveyard, wouldn’t we all be doing it? It’s far more logical Ike Zimmerman and Robert Johnson were practicing in the graveyard at night purely to stop their music keeping Ike’s wife and kids awake. Ike Zimmerman had a rare gift for teaching the guitar. Musician and scholar, Jason Rewald, on the ‘Delta Blues’ website says that many of Ike Zimmerman’s guitar students were actually women and one female guitarist in particular, who Jason says died not that long ago, had guitar skills on a par with Robert Johnson. Other blues scholars say that Ike Zimmerman and his protégé actually played and practiced not only in Beauregard graveyard, but in several. This includes the nearby Hazelhurst cemetery, which is the usual location of this legend. But let Jason Rewald continued his revelations. As for Robert Johnson’s untimely death aged just 27, the cause is still unsubstantiated. The most common consensus is the entertainer was poisoned at a juke joint on the Star of the West Plantation, just north west of Greenwood, Mississippi. Robert was allegedly involved with the joint’s married barmaid who gave him whiskey after a performance, possibly poisoned by her jealous husband. There is also conjecture Robert Johnson had Marfan’s Syndrome, a life-threatening genetic disorder affecting the heart, blood vessels, bones, joints and eyes. Most people agree the most common cause of Robert Johnson’s death was pneumonia, caused by a weakness in the immune system due to poisoning or Marfan’s Syndrome or brought on by syphilis. It’s no secret that Johnson was a ladies’ man, with a girl in almost every settlement he rambled through. Muddy on Stones. Keith on Muddy. Was the seed of ‘Bentonia Blues’ Bermudan or planted by Skip James? The history of blues is rarely what you think. Clapton fires Stones on new album. Ain't it strange that Ike Zimmerman was a mentor to Robert Johnson who was a mentor – posthumously – to Bob Dylan, aka Robert Zimmerman. Presumably Ike's surname was a given slave name. If you go back far enough, might the slave "owner" Zimmerman be related to Bob? No offense but I believe Bob Dylan although at birth is named Robert Zimmerman, is of Jewish descent, and you will not find slave owners in Bob Dylan’s background. Your article is startlingly annoying. Claiming to know or be certain about things you weren’t around to see- based on your views and the evidence you’ve compiled. Take the “of course” out of your pathetic attempt of the truth since you obviously don’t know for sure, at all…. you shouldn’t be writing. It sounds like you believe Robert Johnson actually met the devil at the crossroads, Michael. I’ve written better articles, I admit, but the evidence compiled is the most complete evidence in existence. When I write “of course” it means I’m assuming the reader knows certain facts. Facts are the nearest thing we have for truth. If people like me don’t write about blues history, the early days of the genre will be lost to us forever. My name is James Smith, Ike simmermon grandson. Everything I read in these articles the majority is true, there are some assumptions, I live with the story passed down to us, I’m not going to come there or debate on what’s real and what’s not because I know more than most out there now, some believe that Robert learn how to play at the crossroads and the devil told him, can you imagine, they rather believe that then believe a real human being as my grandfather talk expand how to play the guitar, which we all know so well in our family, I’m not going to give you a story of how all took place even though I know most, there are some that comment and don’t bleed Ike talk Robert which I know is a lie and my family know is a lie some discredit height as a guitarist for some reason I do not know why, but I finally know the truth we know how it happened and when it happened, all of you out there who do not believe our story, because it is our story, not yours, I’m sorry for you, because it is our story. I’d love for you to share your story, James. The inside information in my post came from the American blues scholar, Jason Rewalt, who said he spoke to some of your family. But, thanks for your feedback, and if you change your mind about telling us your family’s stories regarding Ike, these pages are always open to you. I live in Wesson, Mississippi. Beauregard cemetery is very close and my wife and I attend Beauregard Methodist. While attending a funeral in the Beauregard cemetery a church member pointed out a family grave enclosed by a fence. The two graves are raised marble and according to him the only graves like that in the cemetery. He believes that is where Ike and Robert practiced. I can submit a photo of the graves if you would like them. Help dead blues artists get stoned. When blues stars were pop stars. ROCK ‘N’ ROLL’S FORGOTTEN FATHER.